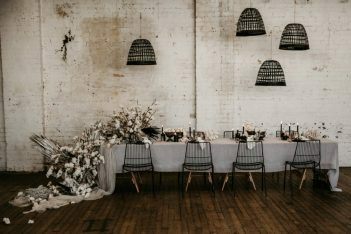 If you’re searching for a chic Sydney-side venue for your big day – first up: congratulations, and secondly: you’ve found it. We’re all about modern, simple and stylish weddings here at Poolside. Set right on Sydney’s sparkling harbour, the iconic Andrew (Boy) Charlton Pool is a breathtaking historic site that also fringes the Royal Botanic Gardens facing Woolloomooloo Bay (yep – photo opportunities galore). Overlooking the pool, Poolside offers a unique harbourside venue for weddings. With capacity for 55 guests seated and 120 guests cocktail, guests enjoy Sydney’s gorgeous indoor-outdoor lifestyle either through floor-to-ceiling glass windows or out on the open-air terrace. Our venue combines a modern Italian menu, impeccable personal service and contemporary architectural design for a spectacular cocktail reception or intimate dinner celebration. 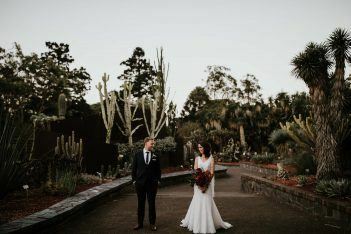 If you’re keen to get hitched in the Botanic Gardens then it’s an effortless transition to your reception at Poolside. Or do the deed out on our sundeck – we’re flexible and more than happy to chat through the options. There are also plenty of other beautiful ceremony locations within a close distance that we can recommend. We are a husband and wife team (we had our wedding at Poolside ourselves) and have been operating Poolside for over 11 years. We’re Sydney locals and have lived and worked around Woolloomooloo for years so we know the area really well. The pool never fails to inspire us – the view, the location, just the amazing blue and fab design of the pool itself, plus the proximity to the gardens and CBD. We still have so many guests who had no idea our venue or the pool was here and love that genuine surprise factor we get when they walk in. Our credo is to keep it simple. Most of our wedding clients come to us with the same shortlist of needs – great views, an outdoor setting, fab food and wine, basically all the ingredients for a party where they can relax and enjoy themselves without having to get overwhelmed with all things wedding. 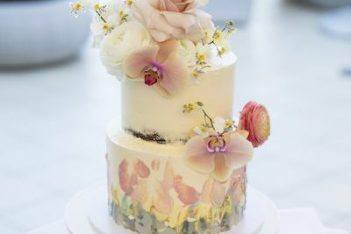 THY know that the ultimate wedding day is the cultivation of knowledge, meticulous attention to detail, artistic license and most importantly putting in the hard yards.